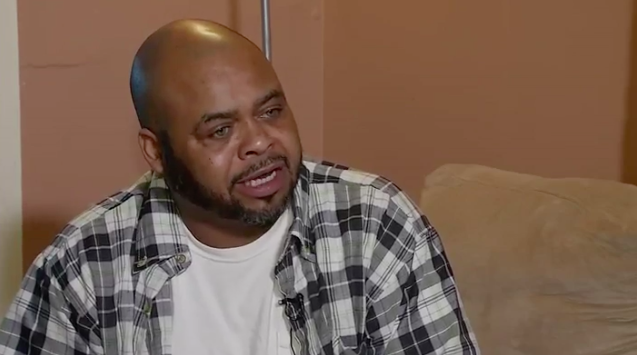 Murfreesboro, TN – Robert Murray says he was mercilessly attacked in a holding cell by Rutherford County officers instead of given medical care while he was having a seizure at the Rutherford County Jail in October of 2014. 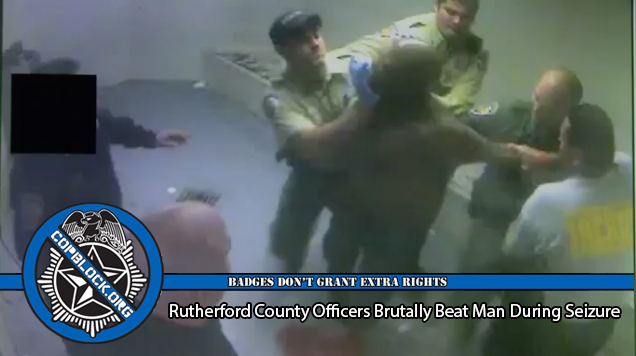 In the video of the attack (posted below), Rutherford County officers can be seen punching, choking, and tackling Murray to the ground which left severe bruises all over his body and face. “I don’t know if it was because I’m a black man that they did that to me . . . I don’t know what their reasoning was for it but there was no reason for them to treat me the way that they did, especially when I was in a medical condition,” Murray stated. After the Rutherford County officers were done beating and pepper spraying him, they tied his limbs to a chair and threw a spit mask on him – a seemingly common practice by employees of the Rutherford County Sheriff’s Office. According to Murray, the brutal beating has caused his seizures to become so frequent and severe that it ruined his career as a horse trainer. The original reason Murray was arrested was for assault after he found his stolen lawn equipment at his neighbor’s house. When Murray confronted his neighbor, he says that the neighbor allegedly came at him with a hammer so he punched him out of self defense. The Rutherford County Sheriff’s Office is of course standing behind the actions of all the officers involved. Major Thompson of the Rutherford County Sheriff’s Office said that after reviewing the video he thought officers had acted appropriately. “The nurses came to try and administer medical aid . . . he was pulling away from our officers. We were afraid he was going to harm himself,” Major Thompson stated. Ah, yes. The officers were so concerned for Murray’s well-being that they pepper sprayed him, punched him, and kicked him while he was on the ground to keep him from harming himself. This is the logic of Rutherford County’s finest. ← Where The Hell Are We?